While the JEDEC standard for DDR3 slowly creeped up from 800 MHz to 1600-1866 MHz, the new DDR4 modules will come out of the gate at DDR4-2133 CAS 15. Similarly with DDR3, the JEDEC specifications seemed a little slow for the memory manufacturers who are all keen to get more market share than anyone else. 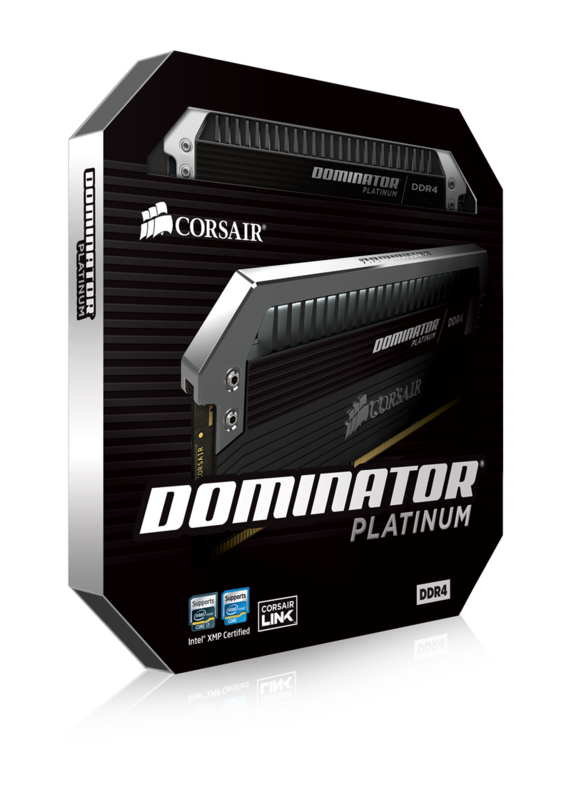 To that extent, Corsair in conjunction with ASUS is launching today the highest specification DDR4 announced to date. The king on the plate is a DDR4-3300 Dominator Platinum kit, designed to work with all motherboards but especially with the ASUS X99 Deluxe and Rampage V Extreme motherboards. Corsair and ASUS have formed a partnership to expedite validation on ASUS’ high end motherboards along with fine tuning: I imagine we might see a specific memory profile or two on the Extreme for users wanting to overclock these particular modules. One of the interesting things to note is that DRAM module manufacturers all bid on batches of JEDEC or near-JEDEC specification ICs. It is then up to them to bin the ICs (either automated or by hand) to place on the modules. The higher the specification of module, typically the more ICs (or the more batches) the system has to go through, which in turn puts more pricing pressure on the kits. Pricing for these modules will be higher than most, and due to their timings will initially only be available in 4x4 GB kits. We will find out the pricing and the sub-timing when Corsair puts the kits on its website. 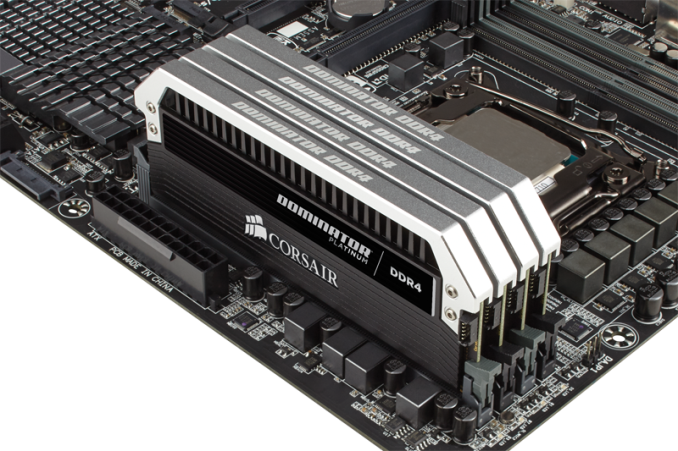 The 3000 and 3200 MHz kits will play up against the modules from other DRAM manufacturers, but it would seem that Corsair is first to market with the 3300 MHz modules. We plan on testing a fair amount of DDR4 in the next month, especially as it forms a significant cost of a Haswell-E build. once again, the latency is wrt the clock. 16-18-18-36 @ dd4-3200 is the same as 8-9-9-18 on ddr3-1600. It officially supports that, but can run faster. Like a CPU.